The mind of a dog is not like that of a person which is why owners can accidentally create or reinforce behavioural problems in their dog such as aggression. Dominance and pack status are supremely important in the canine world, dogs need people to be the pack leaders and if they are not showing this, a dog will assume this role. Households run by dogs can become unsafe environments for children, who are often viewed as ‘weaker’ pack members and are targets of dominance tactics. Obedience training is essential for re-establishing proper pack order in your household and will give you a safer, happier dog as well. Make sure you find an obedience school where the trainer uses methods that employ dog psychology rather than force to have your pet obey. Using force on your dog will only reinforce his misconception that aggression is the solution to getting his way. Always issue commands in a calm, controlled, assertive voice and do not reward your dog until he obeys. Have the family member or members the dog is behaving aggressively towards participate in the training program so they can learn how to be commanding to the dog, making the dog respect them. Nothing reinforces a dog’s sense of superiority over family members like unwarranted praise, constant petting for no reason and being picked up and held after doing something naughty like barking at a stranger or growling. Small dogs in particular can develop aggression problems easily by these methods as owners tend to baby them and treat aggressive tendencies less seriously than in a large dog. Owners need to reset the power balance by only praising positive behaviour and giving a ‘cold shoulder’ with negative behaviour. It’s very important not to break down and response to begs for attention, however cute. Guarding an area in the house or being possessive of a piece of furniture is a definite sign of dog dominance. If your dog has been showing signs of aggression towards a family member, one of the first steps you need to take is keeping the dog off all furniture, ESPECIALLY beds. Having the best place to sleep is considered the privilege of the alpha pack members; put your dog back in place by keeping him on the floor. This also removes the dog from the eye level of family members, particularly kids, which reinforces balance. Limit the times your dog has access to toys, putting them away when playtime is over. Never engage in a toy tug of war with a dog who has a dominance issue, as if he wins this only reinforces his sense of being alpha in the family. Controlling your dog’s food supply is an excellent way to shift the power balances in your household and can help establish a ‘weaker’ member of the family in a strong role once again. Have the person or child who the dog has been bullying be solely responsible for giving the dog food and make sure no one in your family is treating or table feeding your pet. Command the dog to sit and then put down the food bowl after the order has been obeyed, then give the dog an okay to go ahead and eat. 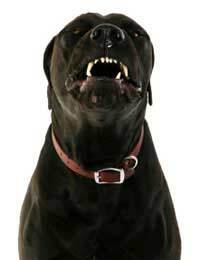 If the aggression problems have been more serious, you may have to make a power point and feed the dog piece by piece to drive home the fact that your family member is the dominant role of provider. Always drop the food into the bowl instead of placing it there by hand as you don’t want your child to get bitten accidentally by a hungry pet. If you are being constant in applying these methods and still see no change, it’s time to bring in a professional dog aggression specialist to deal with the problem.